Getting international work experience at a research lab overseas during the summer can be a great way to burnish your CV and gain professional/working skills in an international environment. We offer many SURGE programs around the globe. Below you will find a list of SURGE programs and the Contact Person for each program. 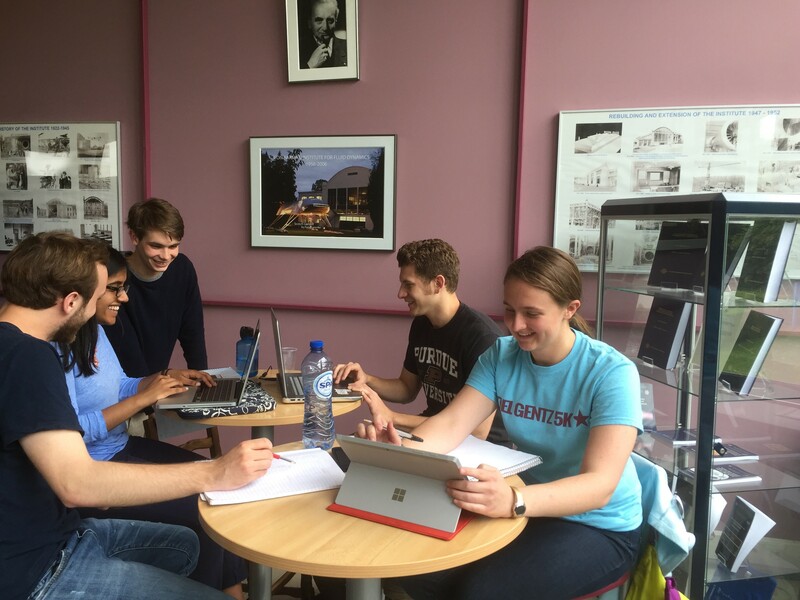 Students studying at the Von Karman Institute in Belgium (2016). Now taking applications for Summer 2019! Application deadline, March 22, 2019. Contact Wei Qiu (wei190@purdue.edu) for help. Spend your summer doing cutting-edge research in the Top-1 University in Colombia! Universidad de los Andes (Uniandes) is ABET-accredited in all of its engineering programs and it is the top-1 institution in Colombia. Work with award-winning faculty members and live in state-of-the art dorms at affordable prices. Bogotá, the capital city, provides a wide range of entertainment that includes close to 50 museums, fine dining, lively nightlife, and nearby nature reserves. Bogotá is one of the largest cities in South America. Read more about summer research opportunities at Uniandes here. Now taking applications for Summer 2019! Application deadline: March 31, 2019. Contact H. Parker hp@purdue.edu for more information. Contact Kara Hartman (khartman@purdue.edu) for help.